Performance label Company has time and again proved its worth by providing high-quality, efficient and purpose-oriented die cut labels for varied applications. When it comes to acquiring die cut tamperproof labels, customers have always relied upon our offerings over our competitors for several practical reasons. No wonder, they come back to us with repeated orders as we make sure to serve them with the most apt, best and cost-effective product offerings. It is easy to work with PLC. All that our customers require to do is to pick the phone and place the order. Our customer service department act readily without any additional hassles and look after the placed order without delay. We value our customers’ time and hence offer instant quotes to our customers, which help them to take easy and fast decision. Our customers love our prompt response and timely delivery of products on their doorstep. At times we deliver even before time. 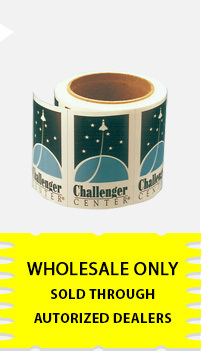 We provide complete value for their money by offering reasonably priced die cut labels to our customers. Die cut tamperproof labels from PLC is more than just appealing and durable; these labels are known for their innovative design, easy-printability, versatility and optimum performance. The precision made labels do their best to protect your easily-breakable and sensitive products and equipment while shipment from one place to another, by indicating their fragility.